Researchers are increasingly evaluated not only by the number of articles published but also by their impact. Traditionally, the impact of publications is measured by citations. However, not only does it take a while before citations start to accumulate, it also provides a limited picture of an article's impact. For that reason, other metrics – such as readership figures; social media mentions; and captures and shares on academic networks are becoming increasingly popular. Therefore, researchers can no longer sit back and watch citations come in after their article has been published on the publisher's platform. They need to play an active role in making sure their work gets the attention it deserves. This is where a new service called Kudos comes in. Kudos provides a platform for assembling and creating information to help search filtering, for sharing information to drive discovery, and for measuring and monitoring the effect of both activities. After publication of their article, authors will receive an e-mail asking them to log on to the Kudos platform. On the platform, they will be led through various steps that prompt them to explain their article; add context via links to other content such as images and data; and share their article via social networks and e-mail. 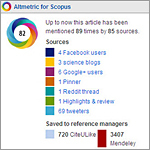 The Kudos platform will then enable authors to see the effect of their actions on altmetrics (via Altmetric.com) and usage data. The service is free for users; publishers pay a fee for their authors to receive a premium level of service, including customized guidance on how to make best use of the service, and the addition of usage data to help authors evaluate the impact of their efforts. After a successful alpha release phase in partnership with AIP Publishing, the Royal Society of Chemistry and Taylor & Francis, Kudos is ready to take the next step and has signed up additional publishers, including Elsevier, for their beta phase. In this article, Kudos co-founder Charlie Rapple (@CharlieRapple) and Elsevier Senior Marketing Communications Manager Lucy Goodchild answer questions about the Kudos service and our partnership. Charlie: How did you come up with the idea for Kudos? Melinda, David and I (the co-founders of Kudos) also provide consultancy to publishers on various aspects of business development, online content delivery, communications and so on. During occasional collaborations, we would find ourselves discussing the challenges facing publishers and their communities today: readers' difficulties in navigating the growing wealth of scholarly literature; the way current workflows seem unintentionally to disengage authors from what happens to their research after it is published; the rise of article-level metrics; changes in researcher evaluation; the evolution of discovery channels; and the need for publishers to provide ever more competitive author services. It was when we started considering all these trends together – as separate problems that might have a common solution – that the idea for Kudos emerged. Kudos was founded by Melinda Kenneway and Charlie Rapple, Director and Associate Director of the specialist marketing agency TBI Communications, and David Sommer, director of David Sommer Consulting. All three have years of experience in various marketing, publishing and business development roles in the scholarly publishing industry. Other team members are Leigh Dodds, Chief Technology Officer; Louise Russell, General Manager; and Charlotte Van Rooyen, Author Relations Manager. They are based in the UK. For example, current evaluation processes already require researchers to create lots of supporting "assets" that help explain their work to funders, institutions, colleagues and students. But these assets often don't get made more widely available. What if they could be surfaced to help readers more quickly appraise and filter more in-depth literature? What if publishers could provide authors with guidance and tools to make better use of their existing networks to help share this material more widely – and could incentivize authors to do so by providing data that demonstrated the effect of such sharing on important metrics such as article-level usage? 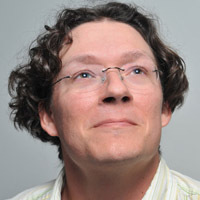 We spent several months discussing all the potential facets of this idea, and slowly distilling it down to the simple proposition that we have developed in Kudos' first phase – a web-based service that helps researchers and their institutions maximize their visibility and impact by enriching, explaining and sharing their research more widely. 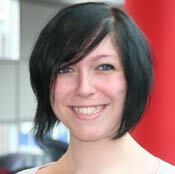 Lucy: From your perspective, why is a service like Kudos important to Elsevier's authors? Let's say I'm a researcher and I'm investigating a molecule that is involved in improving night vision in goldfish. I've got some great results from the first phase of my research, which I've published in one of Elsevier's journals. But in order to get the funding I need – which is in short supply – I need to show the impact of my research and demonstrate that I'm engaging with the public about it. This is where Kudos comes in. By providing me with the guidance and tools I need to make a splash, Kudos helps me tell the story of my research in an understandable way to a big audience. I can write a simple summary of the results, and use this as a basis for a whole range of communications: I share my article on Twitter, Facebook and LinkedIn; I email it to a big list of my colleagues; and then I track the results on Kudos's platform. I can see an immediate spike in downloads after my Tweet, and an increase in citations following my email. I can show impact and engagement. Thousands of Elsevier authors also have a story to tell and an impact to make. Kudos gives them the guidance and tools to do that. Charlie: Could you tell us about the alpha launch and what results you've had? We launched our pilot site in September. We had set ourselves the target of getting 1,000 authors to use the site during the three-month pilot period. In fact, 1,000 authors signed up in the first 24 hours. By the end of the pilot, we had over 5,500 registered authors. They have claimed articles, enhanced them with additional metadata (such as a short title and lay summary) and links to related resources, and shared them via email and social networks. We are still analyzing the full results but it has been exciting to see the additional traffic being generated by authors' participation in Kudos. For example, some of the tweets sent out via the Kudos system have generated hundreds of click-throughs that have then corresponded to an increase in usage of the full text at the publisher site. It's also been interesting to see that this has happened across a range of subject areas, and that those having success using Kudos aren't necessarily long-established social media stars – for example, one author who has generated a lot of traffic via Kudos had only signed up for Twitter in the last few months. Charlie: What changes will you be making in the beta phase? We will be focused on length and breadth. A new release of the Kudos service will go live in April and will run until at least the end of the year, giving us a much longer window in which to evaluate the effect of Kudos activities on visibility, usage and citations. We will be working with a much wider group of publishers, articles and authors, with 15 publishers (including Elsevier) already signed up for 2014 and several more expected to join the service in the next month or so. This will enable us to undertake more rigorous analysis of the effectiveness of the service, and to explore variables such as subscription versus open access. We will also broaden the functionality offered through the service, with interface enhancements for authors, and an enterprise-level toolkit to enable publishers, societies, institutions and funders to support and report on the activities of their authors. Finally, we'll broaden the distribution of Kudos metadata so that the efforts invested in the service by authors are enhanced, helping to increase their visibility in a wide range of both academic and general discovery channels. Lucy: Could you say something about how Kudos fits in with other initiatives you are working on? Elsevier publishes thousands of articles every week, many of which we don't get to hear about. One of the projects we're currently working on aims to maximize the impact of research with a wider significance. We already communicate about research published in Elsevier's journals regularly, both via our press office to the media, and via the marketing department through our other communication channels. But with so many articles flying by, it's not always easy to identify the ones that might be interesting to a non-scientific audience, or relevant for a news story, interview or video. Through our Content Marketing project, we're trialing new ways of identifying fascinating research as it comes in, making sure that the top stories don't slip through the net. We then have a package of resources to help us identify the best channels for telling the story, and to develop the content – be that a feature article, Facebook poll or image gallery – in partnership with the author. Kudos is a great complement to this project – it casts the net even wider than we already do and puts authors in the driving seat, enabling them to publicize their own work. It also helps us to identify great stories we haven't already picked up. With the Content Marketing project and Kudos, we can work with Elsevier authors to really make a splash with the great research published in our journals, helping the authors show the impact of their work, and engage with a wider audience. Charlie: What is your ambition for the future of Kudos? Longer term, we would like to see Kudos help researchers build their profile and manage their reputations – connecting together different research activities and communications such that articles don't exist in isolation, but as part of a wider research story. Building on this, we'd like to become better integrated with research, communication and evaluation workflows so that, by bringing information together in one place and providing notifications and other services, we can help to create efficiencies for authors, institutions, funders and others. As Director of Project Management for STM Journals Marketing at Elsevier, Dr. Inez van Korlaar (@InezvKorlaar) is responsible for the global marketing communication projects for the STM Journals department. 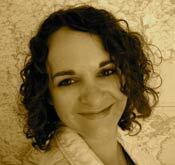 She has a PhD in health psychology from Leiden University and is based in Amsterdam.